We're adding Company Drivers to our fleet! 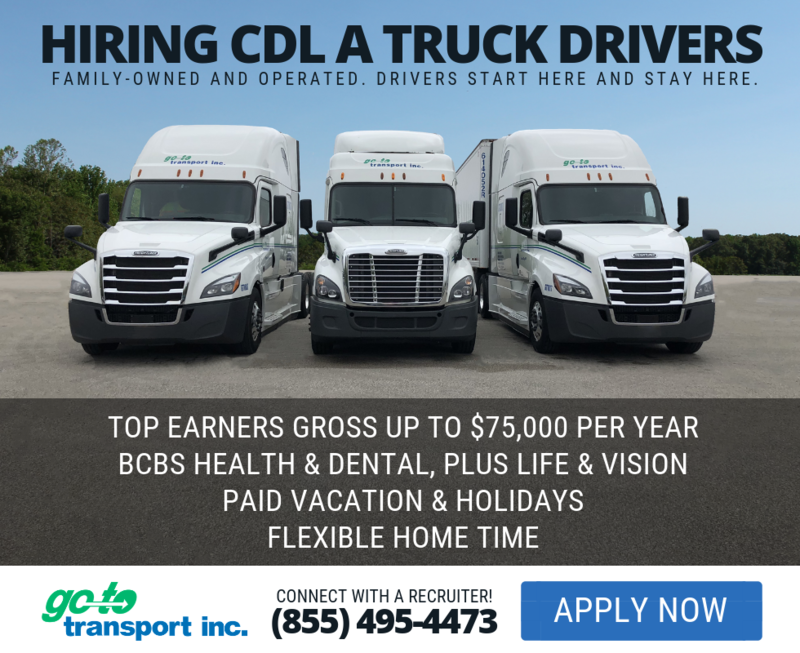 If you have a CDL A, 23 years of age or older, and have a good driving and personal record, apply online today! Endorsements such as HazMat are a plus! Go-To Transport is headquartered in Bay City, MI with terminals in Saginaw, MI, Romulus, MI, and Green Bay, WI. We are a premier asset-based full truckload carrier serving the 48 contiguous United States. We are an established company with over 80 years of trucking expertise. Our fleet consists of 200 power units and 600 dry van trailers.